You are BJ Blazkowicz, aka “Terror-Billy,” member of the Resistance, scourge of the Nazi empire, and humanity’s last hope for liberty. 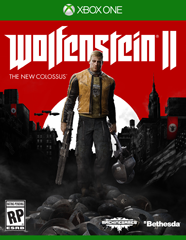 A heart-pounding journey brought to life by the industry-leading id Tech® 6, Wolfenstein II: The New Colossus sends you on a mission to recruit the boldest Resistance leaders left. Fight back against the Nazis in iconic locations such as small-town Roswell, New Mexico, the flooded streets of New Orleans, and a post-nuclear Manhattan. Equip an arsenal of badass guns, and unleash new abilities to blast your way through legions of advanced Nazi soldiers, cyborgs, and über soldiers in this definitive first-person shooter. Only you have the guts, guns, and gumption to return stateside, kill every Nazi in sight, and spark the second American Revolution. On October 27, Bethesda will also release the Wolfenstein II: The New Colossus Collector's Edition, which includes a 1/6 scale 12-inch action figure of the game's Nazi-killin' hero William Joseph "BJ" Blazkowicz, packaged in a premium, 1960s-style box. BJ comes fully equipped to rally the Resistance and free America, with an arsenal of accessories including four high-powered guns, a hatchet, and his bomber jacket. Available through participating retailers across the globe, this limited Collector's Edition also includes the eagerly awaited game inside an exclusive metal case, and a 9"x14" Blitzmensch poster. The Dishonored series really is a good one. And I believe Bethesda and Arkane know that to be the case. The upcoming DLC entiteld Death of the Outsider will be making it's way to your console and pc on 09.15.2017. 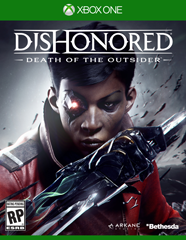 Having you "...take on the role of notorious Billie Lurk as she reunites with her mentor Daud in order to pull off the greatest assassination ever conceived" by killing off The Outsider. 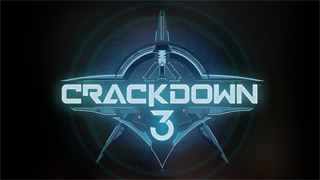 As we post this, the Crackdown website is well, cracked down from user overload. Someone didn't set up load balancing properly across their cloud regions. Anyway, we all love Crackdown. We all love it even more that it's going to finally be available for us to use 11.01.2017. But what makes it even better? How about some Terry Crews action? Hello Folks. It has been roughly a year or so since the Ubisoft team took a break to make things right when it comes to Assassin's Creed. Considering it is E3 this week, that means there are lots of new things coming out. And why not have a new Assassin's Creed come forward but this time be all about how it started. 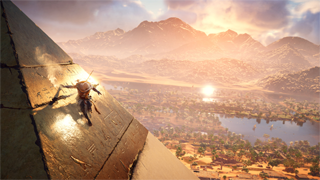 Assassin's Creed Origins, due out 10.27.2017 on your console/pc of choice, has you set enitrely within ancient Egypt and it appears to be everything you'd think it would contain. Beautiful looking that is for sure. Without doing a complete rewrite of stuff, head over to the Ubiblog to see a complete update on everything right after watching the premier trailer below, in 4K of course. 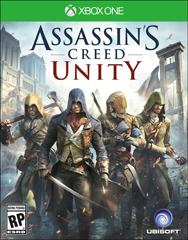 Remember that last Assassin's Creed game, Unity? Well this isn't that game at all. 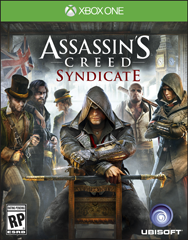 Syndicate will refresh your hopes in a franchise some thought may just be dying out. 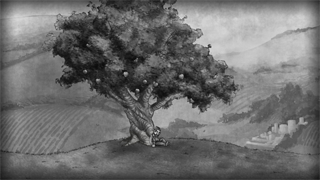 Playing as Assassin twins is delightfully enjoyable in a Victorian era London. The Bridge is a perfect addition to any library of a gamer that plays both the casual and the fast action of a racer or FPS. The Bridge is neither of those latter examples as it is in a class all of its own. Looking for something reliable to increase that paultry bit of disk space you have on your Xbox One? Seagate has an answer for you. 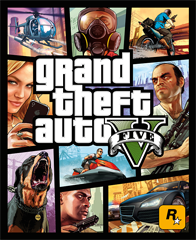 Rockstar has outdone themselves. They have created a game with a bar quite high when it comes to adding a few things here and there for the next gen consoles. 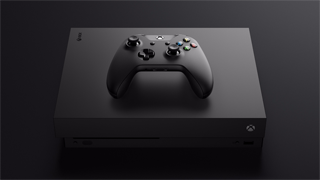 Ubisoft is looking for a big sell on the new consoles with some new software in a title that has beena round for over seven years. Sadly, they are floundering all over the place with it.